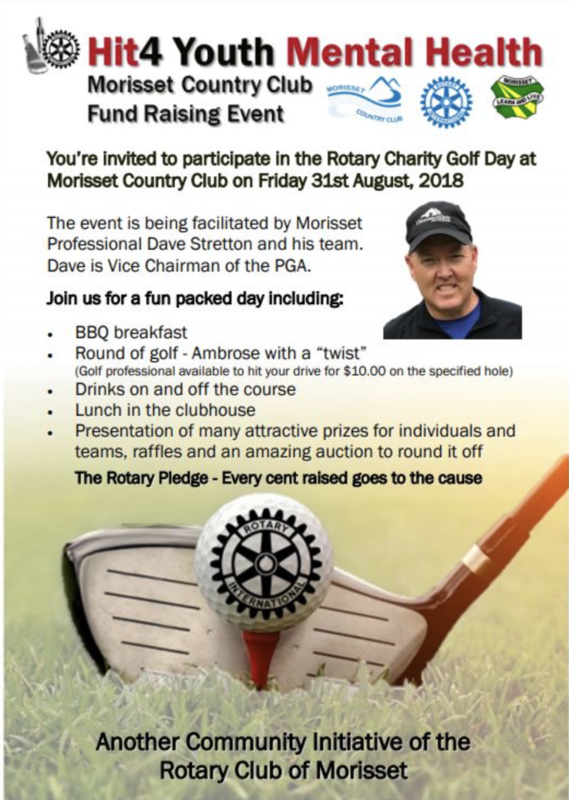 We are super excited to be a major sponsor of the Morisset Rotary Hit4 Youth Mental Health fundraising day on Friday, 31st August 2018. Held at the Morisset Country Club, the event aims to raise $30,000 towards adolescent mental health. There is a BBQ breakfast, round of golf, drinks on the course, lunch in the clubhouse and presentation of many massive prizes (including a Sea-Doo and Travel prize worth $10,000 each! ), raffles and auctions. What a fantastic day it is going to be, for such a worthy cause! Visit morissetrotary.club for more information.